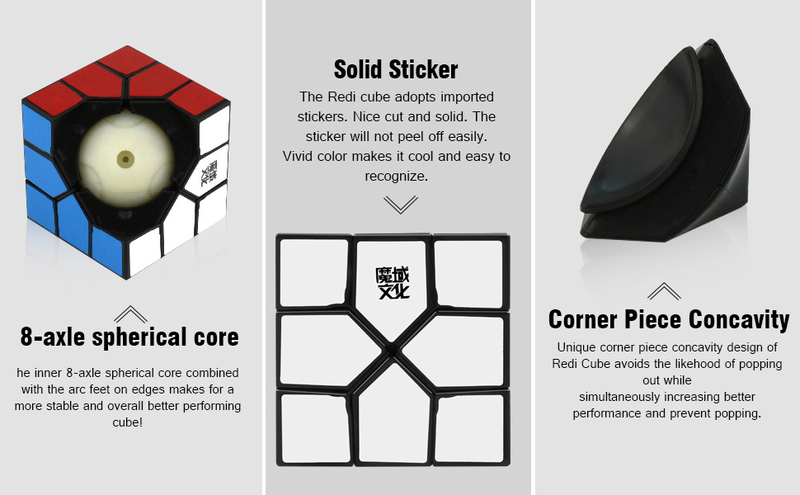 TENSION ADJUSTABLE - With MoYu's professional design adjustments and molding technology, this cube has attained a smoother feeling and better performance, while being an overall outstanding cube! Definitely a good choice for you to improve personal record in competitions. FULL-OBTURATED MECHANISM - This speed cubing's full-obturated mechanism on edges along with its non-hollowed pieces decrease the possibility of lock-ups. 8-AXLE SPHERICAL CORE - The inner 8-axle spherical core combined with the arc feet on edges makes for a more stable and overall better performing fast speed cube! ULTIMATE GIFT IDEA - No one falls out of love with the Redi cubes. Perfect Christmas Gift / Birthday Gift. This classic puzzle game will never go out of style .Want to add this awesome cube to your cube collections? Add to your cart now! 100% Satisfaction guarantee! 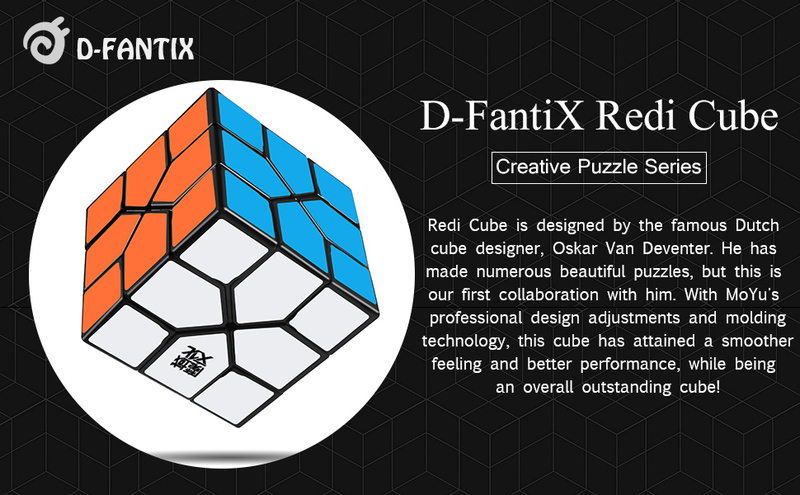 The D-FantiX MoYu Redi Cube is designed by the famous Dutch cube designer, Oskar Van Deventer. With MoYu's professional design adjustments and molding technology, this cube has attained a smoother feeling and better performance, while being an overall outstanding cube! Anti-pop technology and upgraded mechanism structure allows faster turning but also balances fantastic corner cutting and zero pops. The inner 8-axle spherical core combined with the arc feet on edges makes for a more stable and overall better performing cube!